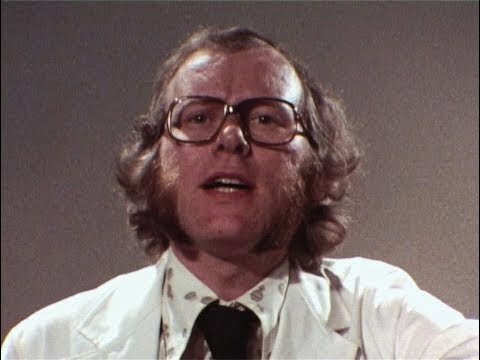 If Graeme Garden had taken up his exoected vocation and become a doctor, the 72-year-old might well have had his feet up by now. The Aberdeen-born Prestonian pondered this down the telephone line from his home in Oxfordshire, in a somewhat-underplayed tone. I’m guessing no regrets on that front then? “No. I might have been a reasonably good doctor, and competent, but I’m not sure I’d have been a very happy one. Instead, he chose comedy, and as a result (warning: cliche ahead) we could all enjoy a healthy dose of the best treatment of all – laughter. Was his early TV scriptwriting on Doctor in the House the closest he got to be a practising medic? “Apart from when I was student and they let me lay hands on patients, it probably was. Although I did slightly more serious stuff later, making an educational series with Dr Rob Buckman and John Cleese. “We started with a funny little sketch about a particular illness or condition, then Rob did a run-down about it. It does seem ironic that Graeme has been brought in for medically-related shows like Peak Practice and Holby City in recent years too. But we didn’t go into that. 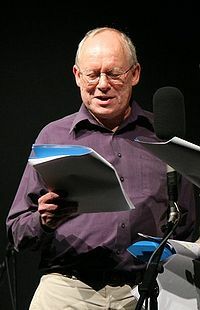 He’s back in his hometown on Sunday (March 8), joining chairman Jack Dee, fellow old stagers Tim Brooke-Taylor (his fellow ex-Goodie) and Barry Cryer, plus newer kid on the block Jeremy Hardy, for a special edition of long-established BBC Radio show I’m Sorry I Haven’t A Clue, ‘the antidote to panel games’, at Preston Guild Hall. So when did he move to Preston? “I was about four, I think. I didn’t really see my Dad for a couple of years, he was abroad in the Medical Corps, picking up the pieces at the end of the war. “But when he got back he moved to Preston and got a job there, we all moved down, and he and my Mum stayed for the rest of their lives. “He was doing orthopaedic work and because of his war service was very interested in trauma surgery. “One of the reasons he stayed was because of the Preston bypass, the first motorway (now part of the M6), thinking there would be quite a lot of challenging trauma work. “When he was running the casualty department at the old PRI, they were the first to put radios in the ambulances and send messages out to medical staff. Does Graeme have good memories of those days? ”I went away to boarding school when I was about eight, just coming back for holidays, but the family were there right until my Mum died two or three years ago. It wasn’t the fact that both of you were wearing giant Black Pudding Bertha flat caps at the time then? What takes up most of Graeme’s working days as of 2015? “I have too many working days to be honest, and I’d rather take it easy more. However, if they didn’t pay me to do it, I’d do it as a hobby, so I can’t really grumble. It must have been a difficult call to carry on with the show after chairman Humphrey Lyttelton’s passing in 2008. Was there ever a question of whether you continued? “There was quite a lot of soul-searching, and after he went we were all very sad and shocked, and didn’t do any shows for a year, taking time out to think about it. “I think all of us were quite keen to carry on though, and then the BBC let us know that the vast majority of listeners had requested the show shouldn’t stop and please carry on. “I think it was a joint decision between the BBC, the listeners and us, as it should be. And I think it’s worked very well too, and Jack (Dee) is fantastic. I don’t think I could ever have dealt with Jack in his days as a waiter before he took to comedy. What’s the single-most repeated remark that gets hurled his way when Graeme’s spotted in public? 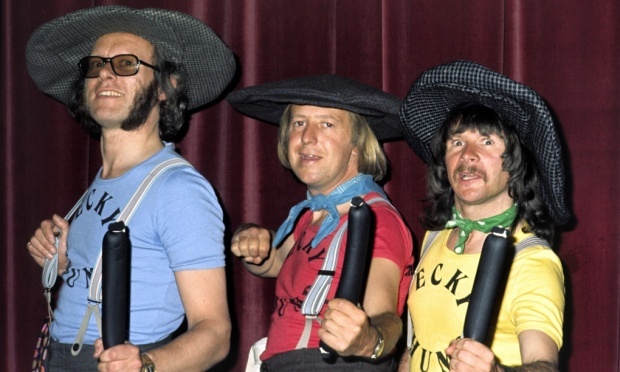 Is it related to his 12 years from 1970 as part of The Goodies? 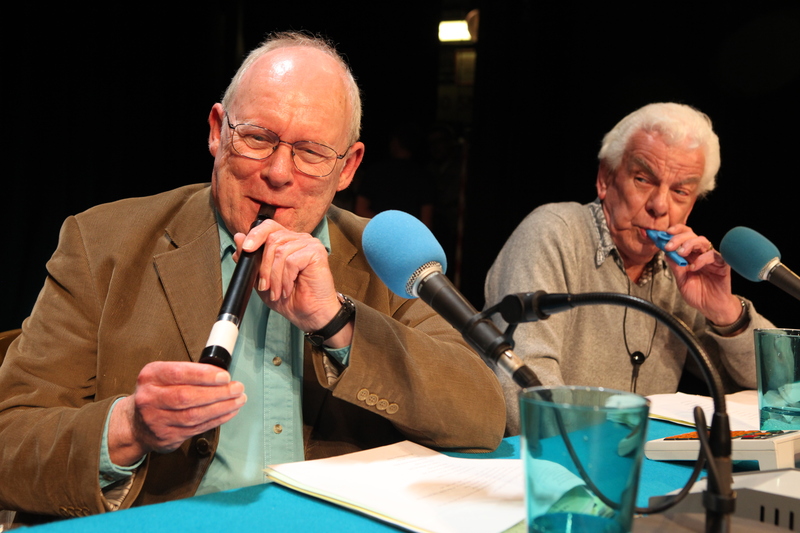 The latter is from his pairing with Barry Cryer as Hamish and Dougal, also borne out of I’m Sorry I Haven’t A Clue. Another ISIHAC reference of course, and one to which there’s no answer really, is there? 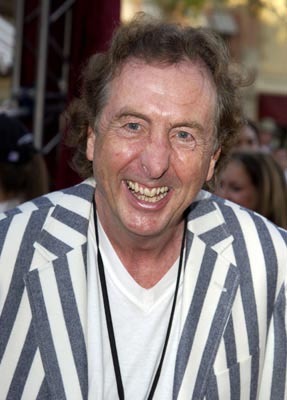 It’s now 50 and a bit years since Graeme became President of the Cambridge Footlights, around the time he first met future Monty Python star Eric Idle. Does that seem possible? “It didn’t seem possible that I became President when it happened. It’s extraordinary. 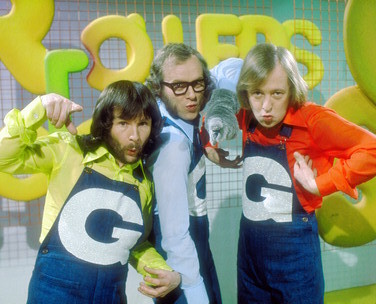 But Twitter’s a wonderful world, and someone tweeted the other day, ‘Have you ever been to Preston’ to Eric Idle, who tweeted back, “Yes, and my good friend Graeme Garden came from there. Graeme’s first real break came as a writer for I’m Sorry, I’ll Read That Again, and he still looks back on that with wonder. “I was actually on the radio, and that had been my ambition since I was a tiny kid, because we didn’t have a television when I was little. “Listening to a comedy programme on the radio was my cup of tea – shows like Jewel and Warriss and even catching the end of ITMA. So how long has he been working on I’m Sorry I Haven’t A Clue now? I can’t hear the show without thinking back to my Dad howling over it at lunchtimes (that’s with laughter by the way), not least the Late Arrivals at the Ball section of the show. Do you get that kind of response a lot when people spot you? “We still meet a lot of people who say, ‘I’m very grateful to my parents for making me listen to this’. Eventually the penny drops, and people get into it as they get older. 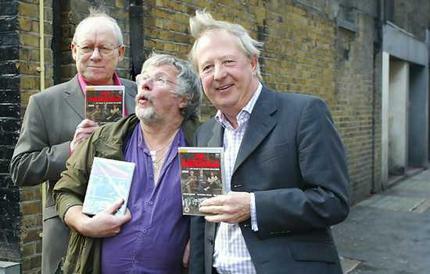 How long do you reckon you’ve worked with Tim Brooke-Taylor now? 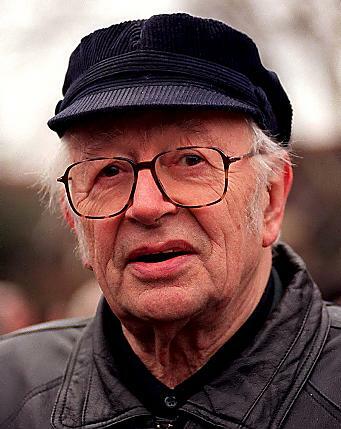 And Barry Cryer for that matter? “I knew Tim from Cambridge, but I got to know Barry pretty much as soon as I got to London and he was part of a comedy scene we were mixing in. “I’ve known the old fella a long time, and I’m actually interviewing him on stage in Bristol on the 20th of this month as he’s getting a comedy legend award from Aardman at the Bristol Slapstick Festival. Indeed. ‘Atta boy’, as Wallace would say! So how do the relatively new guys on the block deal with it all, like Jeremy Hardy? “Well, you mention the new kids on the block, and we’ve been trying to get more women to play the game. We’ve always tried, but a lot of female comics have said no. Was it Humphrey’s old friend Samantha that put them off, do you think? “Erm … I think they might have done other panel games and not liked it. But you asked what it’s like for those coming in, and we’re actually terribly kind and supportive, aiding each other. “If someone’s bit short on gags, we share ours around. And we don’t try and make people feel uncomfortable. We’re not competitive in that way. “That said, when we’re doing things like the Late Arrivals we have a bit of a go and don’t tell each other what we’re going to do, so sometimes you can hear furious pencil scrubbings out when something you’re about to say has already been said. So there’s competition there, but it’s very good-natured. And Susan was a recent interviewee on this blog, I might add. Of all the work Graeme’s done in radio and TV over the years, is there something in particular he feels should have seen more success? “Barry and I wish we could have gone on with Hamish and Dougal. We did three short series of 15-minute programmes, then pushed it to the BBC about doing possible half-hour programmes and were told they didn’t want any more at all. At this point – clearly not checking my internet facts first – I mention that Graeme’s done Dr Who parodies in the past, asking if he’s been lined up for the real thing alongside Peter Capaldi. He sounds grumpy in his response. Sorry –parody wasn’t the right word, I add (trying to dig myself out of a hole, unconvincingly). And are the TV scripts still coming in these days? “Occasionally. And some of the young writers get in touch with an idea and ask for help developing an idea. Have any of Graeme’s three children followed him into comedy, or medicine for that matter? “My daughter briefly went into medicine, becoming an ambulance paramedic in the East End, but she’s now a teacher and a vice-principal of a technical college. “My eldest son is a musician and was with The Scissor Sisters. He’s been touring a lot with Alison Moyet lately on her European tour. Has he won you over to computer games? Maybe you could try Pong instead, that first computer game you could play on your telly in the 1970s. When was the last time he watched a full episode of The Goodies? Any chance of a reprise of that stage show? Was there always an element of rivalry and suspicion with your old friends the Monty Python team? Those films stand the test of time as well, don’t they. There were other questions I might have put to Graeme, not least – for a lad brought up on the banks of the River Tillingbourne in Surrey – an explanation of The Tillingbourne Folk and Madrigal Society from his I’m Sorry, I’ll Read That Again days. Instead I asked him if he got twitchy around Christmas time, when this writer for one has his annual airings of The Goodies’ Father Christmas Do Not Touch Me. His response – give or take a slight titter – is typically deadpan (I blame his association with Jack Dee). I’m not totally convinced he means that, but carry on, explaining how I like to think my girls are old enough to hear it now, yet still have my doubts. It’s great song after all, but I guess these are difficult times for any TV personalities who had the misfortune of being around the less wholesome performers of the 1970s. Fair point. And does he realise it’s exactly 40 years ago that Funky Gibbon was a top-five hit for The Goodies? Only I was watching a Bay City Rollers’ TV show on YouTube recently (purely for research of course – I don’t tend to watch too much of the tartan-trousered ones – that would be like cheating on Hamish and Dougal, I fear), and felt Graeme was a little less convincing a performer as Bill and Tim on that occasion. Or at least he wasn’t quite as animated as they were. Perhaps he was just embarrassed by the whole thing. I’m Sorry I Haven’t A Clue visits Preston Guild Hall this Sunday, March 8 (7.30pm), with tickets priced £25. For details of the rest of the dates on the tour, head here. 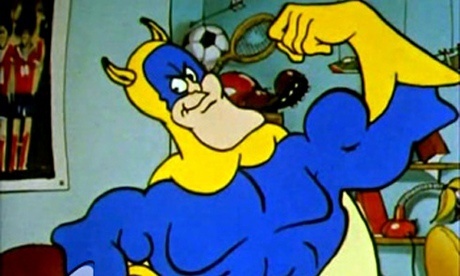 This entry was posted in Books Films, TV & Radio, Comedy & Theatre, Music and tagged Bananaman, Barry Cryer, Bill Oddie, Dr Who, Eric Idle, Funky Gibbon, Graeme Garden, Humphrey Lyttelton, I'm Sorry I Haven't A clue, Jack Dee, Jeremy Hardy, Monty Python, Preston, Tim Brooke-Taylor. Bookmark the permalink.